Our core competency is the design and manufacture of centrifugal mechanisms which control the start- winding of single-phase electric motors. Replacement switches are shipped from stock for quick turn-around for your motor repairs. 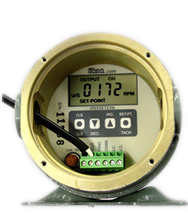 TORQ Corporation supplies OEM's, Power Plants, and many other users with reliable electro-mechanical and electronic speed responsive switches used where the detection of speed is essential for performance and protection.